Cultivate broccoli seedlings and plant them gradually, as the flowers have to be picked regularly. 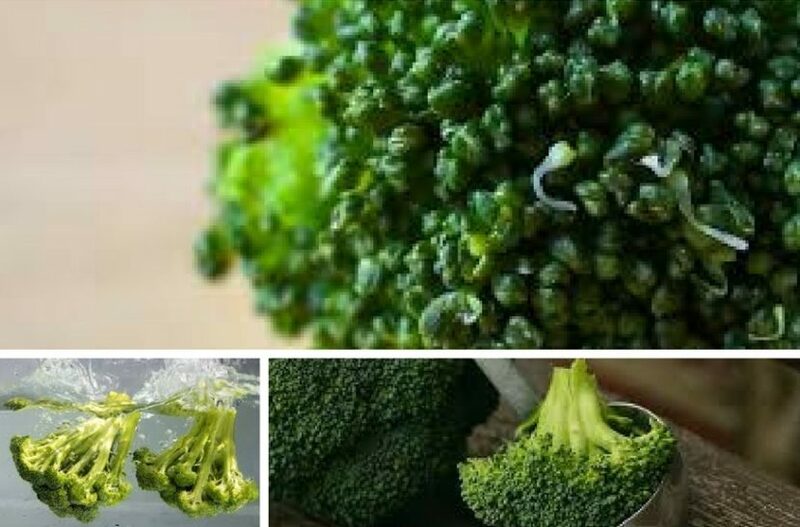 Broccoli can handle lower temperature than cauliflower. At least 40 cm (15 in) between rows and at least 40 cm (15 in) between plants as well. For seedlings February-March. Transplant until the end of April. If you are transplanting later, plant them in shade. To use in fall, plant in July (and shade the seedlings). It germinates in approx. 10 days. Fertilize with barn manure or home compost. Grow in the first field. Till the soil regularly for enabling nutrients. It is good to plant broccoli beside or after beans and to use organic mulch and nettle or algae brew. Use nitrogen moderately, after you have cut off the main flower. Lack of boron can prevent flower development. Water regularly especially after transplanting and when the plant is developing flowers, but make sure the soil doesn’t get stiff. Celery, Swiss chard, broad beans, endive, beans, peas, spinach, lettuce, mint, calendula, chamomile, thyme. Broccoli is not as sensitive as cabbage but the instructions are similar. Black rot, clubroot, caterpillars of butterflies and moths, cabbage fly larvae, swede midge. Best against disease are good water permeable soil, moderate fertilizing, tilling and watering with algae brew. Don’t plant brassica crops In the same place for four years. Use garden covers against pests, intercrop with celery, lettuce or spinach and put tomato waste between plants. Cut the flowers soon – when the temperature reaches 20 °C (68 °F) and above, you have only a few days. Store in the fridge for a few days, but first put it to the freezer for about an hour. You can also freeze it; first blanch in boiling water and put to cool water shortly. Use the meaty flowers. It contains all the important vitamins and minerals. Broccoli flowers are edible; therefore look for flower days on the sowing calendar. Broccoli is a green variety of cauliflower, but less demanding. When you cut the flower off, new small ones appear that can be used as well.